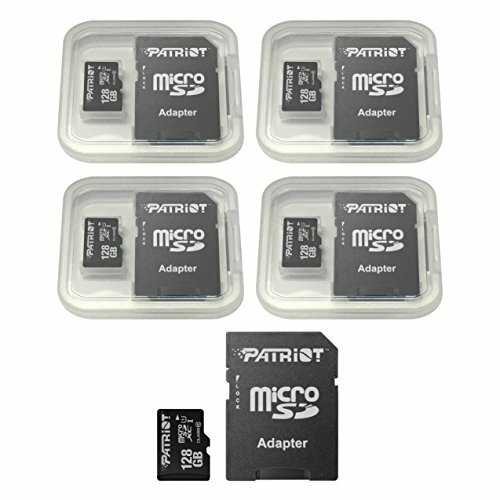 Patriot's LX Series UHS-I compatible MicroSDXC flash memory cards offer blazingly fast performance for the ultimate storage upgrade for HD camcorders and mid-range cameras. These memory cards are Class 10 certified and meet the latest SD Association specifications by providing a minimum sustained write speed of 10MB/remove the bottleneck of slow memory and capture every image or video without missing a moment. With Class 10 specification, the Patriot LX Series MicroSDXC cards are fast enough to record video in full high definition. These MicroSDXC cards offer a maximum capacity of 64GBs, providing enough room to shoot and store hours of videos and thousands of photos. Backed by Patriot Memory's award winning customer service and a 5-year warranty, the LX Series MicroSDXC cards are the best choice for those looking to capture their world in stunning full HD resolutions.